No packed room, no audio or microphones, no promotion on social networks or email lists. Those who came were those who wanted and were able to, and it was enough. More than 30 people where present this past 5th of May 2018 in Lawton, to help found between everyone the ABRA Social Center and Libertarian Library. After almost three years of an International campaign to help obtain the necessary funds, without the help of governments, political parties, or NGOs or any part (much less to Cuban State institutions); we have achieved a dream started back in 2015. 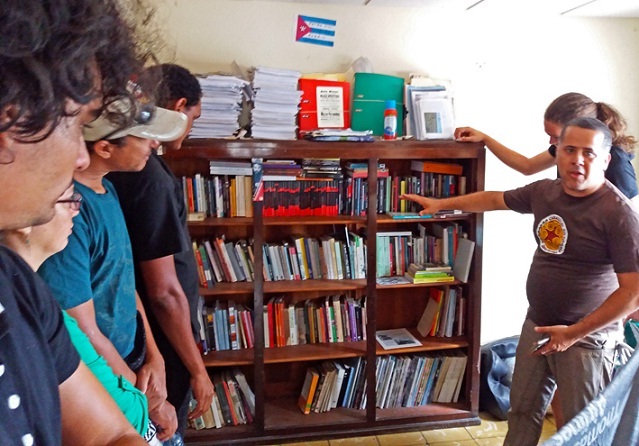 Previous experiences in la Cátedra Haydeé Santamaría, la Red Observatorio Crítico, y Guardabosques have demonstrated the important need to have a fixed physical headquarters to help maintain our work over time. Some of us here have been able to see places in Europe and America, collectives and groups on the left, syndicalists and trade unionists, anarchists, socialists, anti-globalalization activists, who have their own spaces. 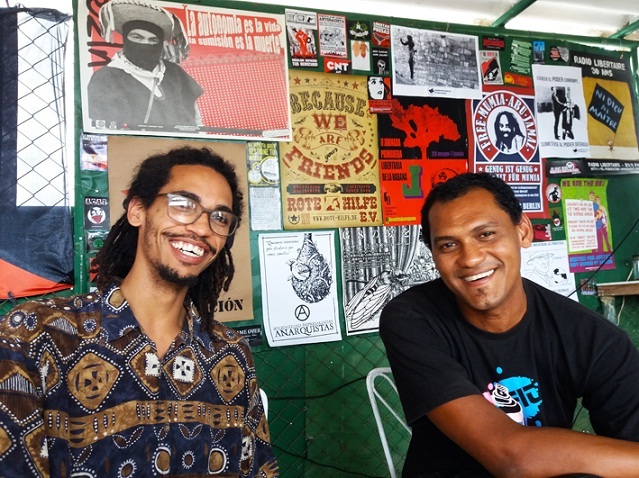 Some occupy, others rent, and there their creativity begins to take off, driven by their antagonistic energy to try and transform a world that is increasingly more and more xenophobic, racist, consumerist, unjust, and exploitative. Our own struggles could be those, and others different; but it is clear that nothing can be a substitute for direct contact, the transparent gaze of people who want to work on something together. Especially in Cuba, where the State has a tight control of the media and the Internet is still very expensive and slow. This was understood by the people who gave their support to our idea so that it could come out on top, and to each one who helped us out, my comrades and I send you our deep gratitude from the Taller Libertario Alfredo López and the Observatorio Crítico Cubano. We know that you don’t have an excess of money. We know that many of you are workers or students, and that every coin hurts your pockets. It is for this reason that we can only start this new period with great humility and the commitment that we make our social space open to each individual that knocks on our door with a dream, an idea of autonomy and collective work, and with that building a new direction for our lives. This is why, in addition to sharing our own history with those who visited us this past weekend, we also gave them an opportunity to share their own projects and art. With this, we took advantage of the opportunity for old friendly projects like the lucid-educational-communal “El Trencito”, the anti-racist bulletin “Desde la Ceiba”, or the “Kaweiro” group, that will be presented to new listeners in the voices of their coordinators Yadira Rubio, Tato Quiñones, Carlos Díaz and Meibol, respectively. We enjoyed the art of verses that students from the University of La Habana gave us, and some other informal verses, as well as some written poetry. 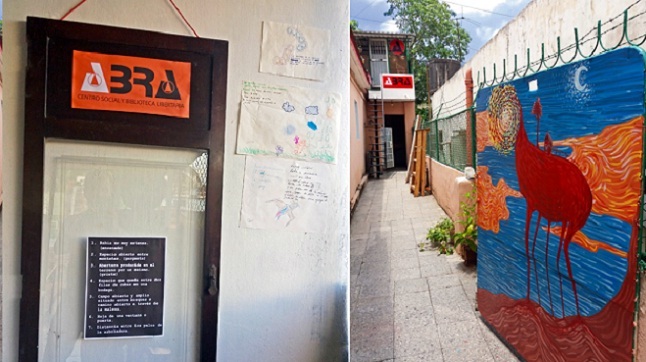 We also learned about other artistic experiences such as those of our friend Ernesto, who in addition to humbling drawing up the murals that welcome visitors to the space, shared a new series of beautiful photography under the title of ABRA. Promoters from the Centro Loyola informed us of a new space for debate called “Forum Loyola” from participants; we also learned of a visual art project “Tú yo más yo” by Jorge Mata, as well as “Fábrica de Improducibles” by the Laboratorio Escénico de Experimentación Social, presented by Yohayna Hernández. 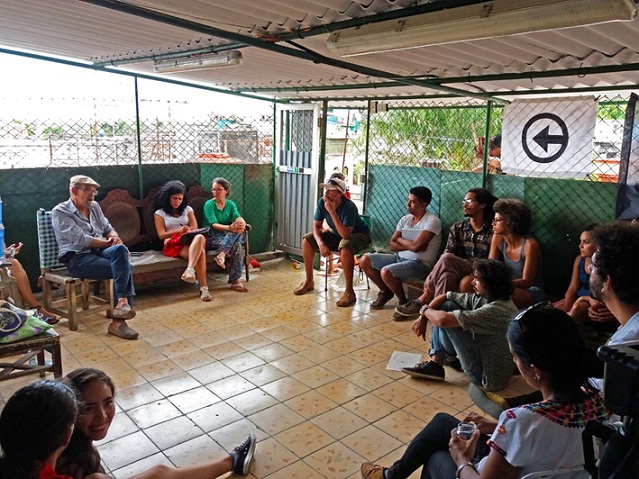 All in all, from our first step we have tried to honor our name and “open” the door to others who arrive without a space to try something emancipatory and beautiful.